A feed is a data format used for providing users with frequently updated content. Feed readers are used to read a feed, thereby allowing users to subscribe to it. Making a collection of feeds accessible in one spot is known as aggregation, which is performed by a feed aggregator. In this tutorial I’ll show you the different kinds of feed formats provided by WordPress and how to access them, with a focus on customizing them programmatically. 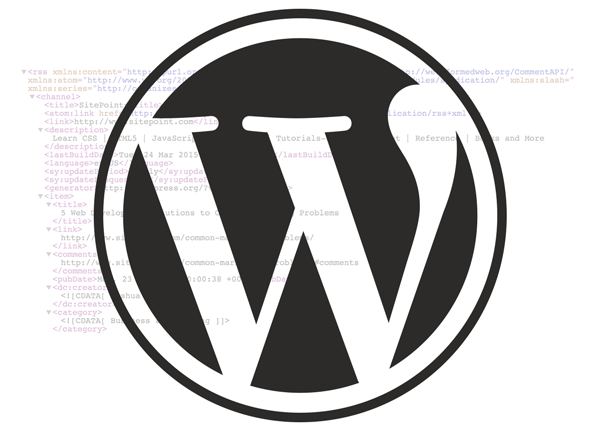 WordPress supports four popular feed formats: RDF, RSS 0.92, RSS 2.0 and Atom. RSS 2.0 is the most popular feed format and is supported by almost every feed reader. These URLs retrieve the latest ‘posts’ of the site. Similarly, you can also get the feed URL of a tag or multiple tags too. WordPress also provides a feed for the recent posts of an author. This is useful if a user wants to follow a particular author via a feed. Note: WordPress doesn’t provide any built-in functions to retrieve the URL of an author feed. Here we are using the is_feed() function to check if the current request is a feed request or not. If yes, then it returns true. WordPress internally uses a built in feed template to display feeds. Using the do_feed action we can define our own feed templates. In WordPress 3.0 onwards, there is a theme support feature to add feed URLs to the head tag. If you’re a WordPress theme developer, then add this line of code to your theme’s function.php file to enable this feature. Many site administrators prefer to provide their feeds using FeedBurner (or other third party services). This lets them track their feeds and number of subscribers. This code redirects requests to the latest posts feed to FeedBurner. If you’re hesitant to touch your .htaccess file, then you can use FeedBurner Plugin to do the same thing. WordPress provides many more actions and filters to customize our feeds. We’ve only covered some of the most important and useful ones. You can find many more feed related actions at WordPress Action Reference and filters at WordPress Filter Reference. Many WordPress users prefer feed subscriptions rather than email or social subscriptions. As feed aggregators are now available for all platforms it’s a good idea to provide users an option to subscribe via feeds, with RSS 2.0 being the preferred format. You should also display an author feed and a comments feed if you have commenting enabled, not just recent posts feed. Let me know your experience with WordPress feeds below.